First of all, oak extending dining tables (or any extending dining tables in that matter) offer a highly functional solution with a flexible seating capacity. Normally, we only need extra seats when we have people over, and most of the time a standard 4-seater table is enough to accommodate our immediate family. In other words, oak extending dining tables offer a very space efficient approach, giving you a chance to use a table in a non-extended, compact shape most of the time and increase your number of seats up to two times only when you actually need this — thus, helping to avoid furniture clutter and leaving a lot of functional room space for yourself. 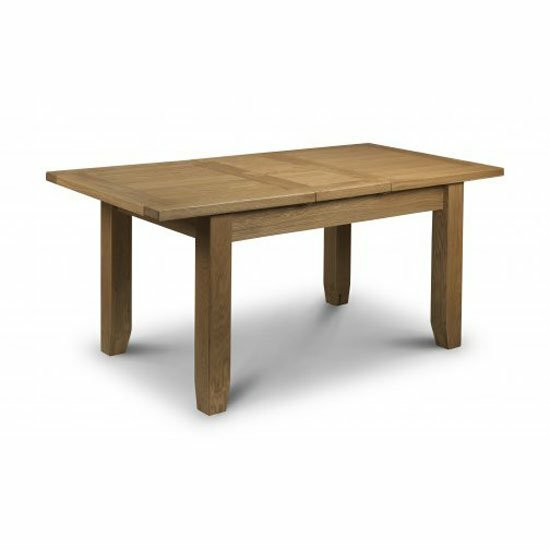 Oak extending dining tables are quite common these days, and it is possible to find models, suitable for a variety of interiors. There are compact and spacious models; models that feature glass and other production materials, and so on. This all means that it is possible to find a 100% fit for any decoration pattern — from antique to modern one. Here, a lot will depend on the shape you choose, on material combinations you stick to (including matching chairs and other furniture arrangements), and on the finish type. Still, one of the biggest advantages of going with oak furniture is its impressive durability. Wood, in general, is a very durable example of natural production material. Oak, in its turn, is one of the most durable wood types, so if you are looking for solutions that can last for decades, oak is the best example for you. 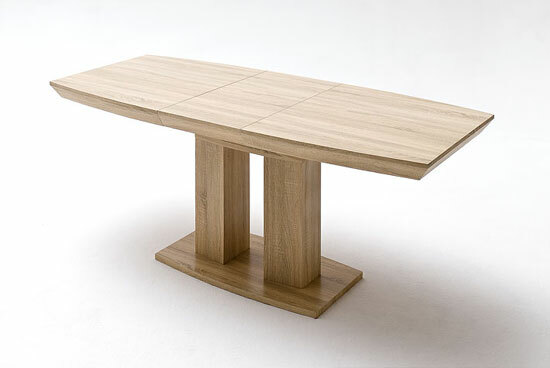 Yet another reason to go with oak extending dining tables is that this solution will stay relevant for a very long time. Oak has been one of the most popular materials in interior decoration for centuries and the tendency will hardly change in the future. Sure, one more thing you will have to remember while looking for oak extending dining tables is that genuine wood (oak especially) is a rather pricy decoration solution. However, if you shop at big stores and make use of the discount policies, you usually have a chance to save quite a lot of money. In the UK, one of the best sites that can offer a very moderate pricing policy and ensure highest model quality at the same time is Furniture in Fashion . This is one of the leading e-commerce platforms that also have a showroom in Farnworth – a perk offering you a chance to either place your orders directly online, or examine any model personally before making any decisions.